Good vibrations make the Universe a Happier Place to Be. As any magician will tell you, before you can pull a rabbit out of a hat you have to know a few things about the mechanics of magic, like where the bunny is and how the hat works. Same here, you need to have a basic understanding of universal mechanics before you can start pulling a more abundant life out of the air. So now that we’ve discussed vibrational energy, we need to discuss another important aspect of its character: Its inability to be still. Like a hyperactive child on steroids, energy never stops moving. It vibrates, constantly and that’s a good thing because in doing so, energy creates all those good, good, good vibrations Brian Wilson and the Beach Boys sang about and that, is what helps the universe be a happier place to be. Each wave and particle of energy has its own vibrational frequency and never, ever, stops vibrating and since you’re made of energy, just like everything else, that means you vibrate continuously, too. You may have felt lethargic, but you’re not, No, you’re a regular little bundle of energy, that’s what you are. That’s because each little package of energy pulsates and radiates at a vibrational frequency that draws and binds similar packets of like frequencies to it and together they keep you being what you’re supposed to be being. Great isn’t it! 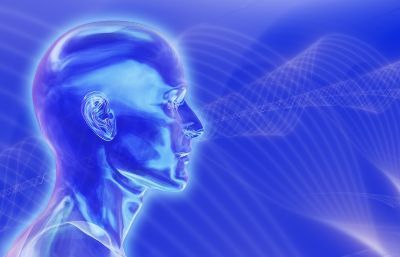 You look and feel and taste and sound solid and substantial because your senses interpret these vibrations and frequencies in a certain way that is translated and accepted into your thought processes as solidity. You interpret everything else the same way and all of this goes on without you so much as giving it even a little bit of conscious thought. Don’t think it is only things and people that vibrate. Thoughts and feelings and words do, too. In fact, every thought you think and every word you speak carries with it a vibration. Even the most fleeting thought, lingering in your mind for no more than a millisecond, will vibrate at a certain frequency that will attract or be drawn to other similar frequencies. What is imperative that you understand about all this is Every emotional and feeling state you get into changes the vibrational frequency you are sending out to the world. That means, of course, that if your world is not rosy pink and wonderful, you’re going to have to change the way you feel if you want it to change. You may have noticed that when you’re happy, you feel light and when you’re unhappy or fearful, you feel heavy. That’s because the vibration emitted by sadness or fear is a much denser, lower frequency than the one emitted when you are experiencing feelings of happiness or love or serenity. To make this easier to understand, let’s imagine a vibrational scale with love on the high end and fear on the lower end. Let’s further say that on a standard run-of-the-mill kind of day, your emotions tend to romp all over the place, running the gamut from one end of the scale to the other. You’re certainly not alone in this, in fact, most people live in this kind of emotional state. Naturally, because your vibration is changing on a moment-by-moment basis, the frequencies you send out are going to be erratic, attracting life experiences to you that are far less than the perfect ones you would most enjoy. Because of this vibrational free-for-all, you may find yourself surrounded by clutter or even chaos – or worse – depending upon the dominant trend of your feelings. Please understand the conditions in your life do not exist as independent entities, they arise out your emotional and feeling state. Contrary to what you may have always believed, conditions in your life are not the cause of your emotional state; they are the effect of it. If you want to change the conditions in your life, you have to change the way you think and feel first. So, let’s say you are experiencing a great deal of financial difficulty. 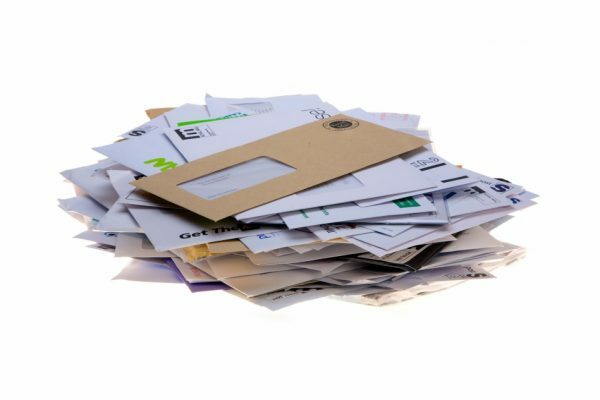 You regularly find yourself with more outgoings than income and it’s been a while since you saw your tabletop because of the growing pile of unpaid bills and overdraft notices on top of it. You’re not sure what you are going to do. When the postman arrives, you feel the knot in your stomach tightening. You know he’s going to bring more bills that you can’t pay and when you finally work up the nerve to take the mail out of the box, you see your expectations were fulfilled. More bills and oh boy! More overdraft notices, too. Based on that scenario and with what you now understand about how your emotions and feelings affect your world, what do you suppose is going to take place? Yes, you’re right. The bills are going to keep coming, the knot in the stomach will keep growing, and the table top will become no more than a fading memory as more and more unpayable bills are placed on top of it. It will keep getting worse until you’ve finally had enough and either decide to change your mindset or to check out of this life experience entirely. Now, let’s suppose that instead of getting caught up in the fear vibration, you opt for the other side of the scale. You hear the postman coming up the path and run to greet him. You’ve got a big smile on your face as you open the door, and you take a couple of minutes to chat with him and ask how his day has gone, mentally appreciating the role he plays in your life as you talk. Then you gratefully accept the stack of mail he hands you. Notice I said gratefully? I’ll get to why later. You look through the stack of bills, opening the ones you know contains the largest balance due first. With each bill, you take a moment to surround yourself, the situation and the person or company you owe in glowing thoughts of love. Remember: it’s the emotion on the high end of the scale. Then you place the opened bill in a very special place where you will see it often. Before moving on to the next one, you say, aloud if possible, “It is my intention to pay this bill in full quickly, easily and effortlessly. I now choose to see my intention met and I release it to be handled by a power far greater than my own”. You take another moment to see the bill paid in full in your mind’s eye and then you move on to the next one, repeating the action. Then for the remainder of the day, and in the days to follow, each time you pass by this new stack of bills, you mentally say to yourself, “That has already been taken care of. I assigned it to a higher power” and then express gratitude that what you have said is so and put it from your mind. You do basically the same thing with every bill collector that calls, mentally surrounding them in love as you speak, letting them know you are not avoiding the issue at all but are, instead, meeting it head on and it is your intention to have it taken care of as quickly as possible. Then again, you release it to a power higher than your own and let it go, mentally blessing the situation each time it comes to mind and thanking the Universe that it is taken care of entirely. What do you think will happen now? The first thing, of course, will be a change in the frequency you’re broadcasting to the world. Instead of being a repeat of the dark and dense vibration you’ve been sending out, it will be much lighter and higher. You will probably notice a new lightness in the way your body feels, and your emotional state will certainly be much happier. In fact, in all likelihood, you’re going to feel very much better. Your body will appreciate the change, too, trust me on this. The next thing that will happen is that bit-by-bit your financial picture will begin to change. It may take a few days to get started but circumstances such as you cannot now even imagine will suddenly begin to take place. Your financial picture will literally begin to shift on its axis. Why? Because your frequency has changed, of course, and since like attracts like, this new frequency has got to go out and find people, things and situations that match it and bring them back to you. It’s the law. It’s the Law of Attraction in action. Pretty soon, you’ll find all your bills paid in full, just as your intention stated, and your life will be infinitely more free and easy. And the only thing – THE ONLY THING – that can stop this from happening is YOU. YOU will stop it from happening the moment you send your frequency going back to the fear end of the vibrational scale. Your frequency will plummet if, for instance, you tell yourself this won’t work or you allow your mind to focus on fear-based thoughts instead of love-based ones, or you decide you really like wallowing in rotten, self-defeating depression. Don’t laugh. There are a whole lot of people out there who are wallowing junkies. If you really want a better life, don’t be one of them. In addition, now that you understand that all your vibrations are going to come back to you as matching manifestations you might find it very beneficial to start paying close attention to your daily interactions with others. Remember, any critical or judgmental thought you have toward another is going to ultimately return to you in a manifested form you probably won’t care for. Like always attracts like. It’s a universal law. I once worked with a woman who loved to gossip. You could not be in her presence for more than a minute or two before she was gleefully revealing all the juicy – and negative, of course – details she had heard about someone else. On occasion, though, she’d take a breather from her gossip long enough to moan about the fact that people were always saying bad things about her. She simply could not understand how people could be so mean. Though she did not realize it, she was a perfect teacher for me at the time, providing walking, taking notes on how the law of reciprocation works. What you SAY is what you get. Unfortunately, the entire time I knew her, she never had a clue she was creating her own grief and would have bitterly fought the truth had it been presented to her. The truth really is that every time you opt to criticise another or to judge someone else’s behaviour or to take part in that daily gossip session at the office – you know the one perhaps where your boss/colleague or the company you work for are rubbished – every time you opt to do that you are sending a vibration out into the world and instructing the Universe to send something like it back to you and believe me, it will. Are you now beginning to see why it makes perfect sense to love one another? It’s the absolute safest way to live. Don’t forget, you count, too. If you’ve been in the habit of belittling yourself, even in jest, you need to stop. No matter how harmless it might have appeared in the past, in the light of what you now understand about vibrations, you should seriously reconsider the way you think and talk about yourself. You are, after all, a God, a creator of worlds, an energy sculptor, and a phenomenal mover and shaker. Just in case you didn’t know it yet, you are now standing on the leading edge of an abundance paradigm shift that is about to rock this world. That makes you a leader of the pack. You deserve respect. Never, ever forget that you are a child of the universe; royalty of empirical standing and a sovereign power. You need to be treated as such, that treatment begins with how you treat yourself. So be kind, be gentle and be respectful of yourself, always. One of the techniques I frequently use with friends and clients I talk to is to remind them of their eminence by referring to them as the Powerful Creative Spiritual Beings that they are. It is designed as a not-so-subtle reminder of their dominion over the world. Start referring to yourself in this term. It will do you and your experience enormous good. Now, before we go on, the one final thing I want to point out is this: The universe doesn’t care what vibration you send forth. Whether your vibration is created by something you like or something you hate; whether it is by something you are actually seeing and experiencing or something that you are only imagining, the universe really, truly, honestly doesn’t care. The universe simply responds to your vibration by bringing forth an experience to match it. That’s it. That’s really all there is to it. Get this right and creating an abundant, new life will be easy. Now, let’s move on to learning why scientists think it all started with a Big Bang. Right now, this very minute you possess all the power necessary to produce tangible abundance. These waves of probability and clouds of possibility particles that we have been discussing are intelligent and respond to thought, so if you think, you have everything you need you will have. You may never have considered it before but in light of what science can now tell us about the basic structure of the universe, it is easy to see that we live in a mental environment, where every form and process in nature is actually a visible expression of thought that has been cast into the sea of probability and created into a physical reality. The question that always arises, of course, is how did it all start? Who or what was behind the original thinking that thought this world into being? Good question! 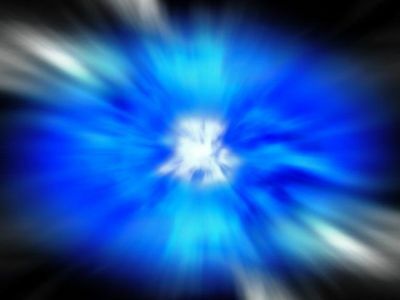 In recent years scientists have come up with the Big Bang theory as a plausible explanation of the origins of the universe. For every scientist who has put forth the theory, millions of religious believers have protested, insisting that the universe was created by an all-powerful, all-knowing God with human characteristics and using “tough-love” parenting methods. Thus, the assumption has arisen that science and religion do not agree; that if one is right the other must, therefore; be wrong. If you look beneath the outer layer of both the scientific theory and the basis of religious belief for just a moment, you will find the two are far more aligned than most would assume. In 1913, an American astronomer named Slipher discovered that light coming from distant galaxies looked suspiciously red, which meant the galaxies were moving away because whenever objects in space move away from us, their light spectra moves toward the red end of the spectrum. It’s all part of the Doppler Effect. Galaxies racing away from us at a speed of about two million miles an hour had to be significant, Slipher figured, he just didn’t know why. Neither did anyone else. The why turned out to be that if galaxies are moving away from us, the universe has to be expanding so those galaxies will have a place to go. At the time, most scientists weren’t in favour of that idea of an expanding universe, so they weren’t paying a whole lot of attention to the significant part. So, it simply went unnoticed for a while. A couple of years after Slipher saw red, Einstein was putting the finishing touches on his “General Theory of Relativity” Because he wanted to believe the universe was static and unchanging, he devised a mathematical equation he called the Cosmological Constant. This equation clearly supported the idea of a non-expanding universe. Unfortunately, the Cosmological Constant turned out to be a bad idea because the same year Einstein went public with his relativity theory, a Dutch astronomer did the math and proved the equation wrong. As a further irritation, he suggested that maybe the universe really was growing. Five years later, a Russian mathematician found another simple error in the math and when he made the correction, it clearly indicated just that: The universe was, indeed, expanding. Einstein was miffed. He didn’t like the idea of being proven wrong but what he really didn’t like was the idea of the universe growing. If it was, that meant it must have had a beginning. Originators tend to show up for beginnings and another name for a universal originator is God: The personal kind. Since there was no way to explain why a loving God would allow the horrific catastrophes that have plagued man since the beginning of time, Einstein didn’t much agree with the idea of one. He liked Spinoza’s version of God better, accepting the idea of an impersonal Deity who revealed himself through the orderly workings of nature and the rest of the time kept quiet. Einstein was very reluctant to let that version go. The shocker did not come, however, until 1965, when two employees for Bell Laboratories discovered a faint microwave background permeating the entire universe. It did not take scientists long to identify the background as a prehistoric relic of the Big Bang. Interestingly enough, it was not a scientist but a theologian who first anticipated the discovery of the Big Bang. In 1927, a Belgian priest, Georges Lemaitre, reasoned that if the entire universe is expanding there had to have been a beginning. Extrapolating backwards, he concluded that the early universe would have to have been very dense, maybe even infinitely so. Though the Big Bang does not agree with the creationism theory of a God with very human characteristics scooping up a handful of mud with which to fashion Adam, it does support biblical doctrine which indicates there was a beginning of everything. In this way, it is a beginning in which both science and religion can find agreement. That, alone, makes it a very important one. While many modern scientists would like to assert that a universe as well run as this one does not need a creator, an entire mountain of empirical evidence proves that until about 20 billion years ago the universe did not exist at all. It exploded into being and prior to that explosion there was absolutely nothing and since nothing comes from nothing, we can safely assume that Something had to have been the originator. In the beginning…something caused it. An orderly universe does not necessarily suggest that God showed up one day, exploded it into being, and then left. If it suggests anything at all, it would more likely be that God is a good mathematician. 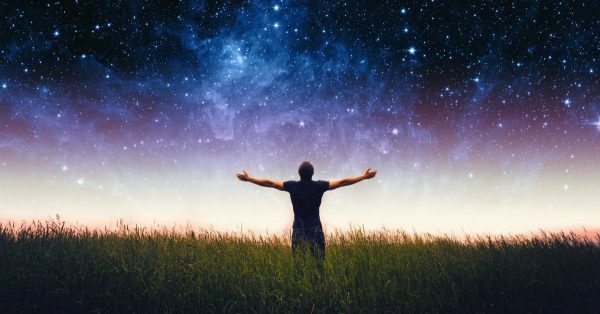 That the universe is well designed implies that God is an intelligent creator and knows what he is doing far more than it suggests he doesn’t exist it tells us there are only two real emotions – love and fear – and every other one we think we are experiencing is merely an aspect of one of those two. The only question that remains then, is why did God do it? What was the purpose of exploding us into existence in the first place? One plausible explanation is that God wanted to experience being God. Imagine for a moment that you are a shipwrecked sailor stranded on a deserted island. Having received a traumatic head injury at the time the wreck occurred, you now suffer from amnesia, total blindness and a complete loss of hearing. Your sense of touch has also been temporarily eradicated by the trauma. Even your sense of taste is radically diminished. Because you have no lucid memory of having ever been, you also have no memory of any experience to give you an understanding of what is happening now. Though you’ve washed up on shore, since you can neither see, hear or feel your new surroundings, you have no way of knowing it. You know you are you, but you have lost the ability to experience yourself. You are not concerned with being rescued because you are not aware you are in need of rescuing. Your only desire is salvation from the nothingness that has become the totality of your experience. Now imagine that instead of being a stranded sailor, you are God; Original Source; All That Is, and instead of being on an island, the place you are in the very beginning, before the creation of the universe, before the creation of anything at all. There is only you; All That Is; God being God. Just as there can be no front if there is no back, so can there be no All That Is if there is nothing. Like the shipwrecked sailor, God possessed knowing, but without something to compare it to, what was there to know? God needed the experience to complete Being. This, as you might imagine, presented a perplexing dilemma. So, God yearned for a solution and as deepest desires always do, it came. The solution was to individualise into seemingly separate particles of being, so each particle might completely experience itself. Arising out of a need to know Itself, God became everything else. Yet in the creative process of becoming individualised, All That Is still remained All That Is, being everywhere, in everything, absolute, only now experiencing the Absoluteness. God could not have done otherwise. Any other scenario would have been as if you, the sailor, had your memory, sight, hearing and sense of feeling all restored but only after you had been rescued from the island and were living once more aboard ship. You still would have no experience of being shipwrecked, even though you had been. To experience being, God had to be where the experience was. That is why the core of your being is God. To fully experience individualisation, God became you experiencing Itself. You are God being you, but God is still God. This, of course, wreaks havoc with the archaic view of God being a bearded old man sitting on his heavenly throne, his hand poised over the chessboard that is our world preparing to move us around on the board like the pawns we assume ourselves to be. We’ve been reading the scripture wrong all these years I am sorry to say. It says God created us in his image, not we created him in ours. Of course, if we are God being individualised, that also gives a boot to the theory that’s he’s lurking in the wings somewhere, ready to banish us to either eternal damnation or endless cloud-sitting based upon our performance on stage. It does away completely with the idea of a God casting you into poverty or illness or distress of any kind at all. Any separation you feel from the source of your being is in your mind. Whether you choose to call this source of being God, Source, Universal Power, Father, All That Is or even Non-Existent, the truth remains that you are always connected to the power of the universe. You cannot become disconnected. This power, when accepted, focused upon and used in a practical application in your everyday life, will solve any problem and give you control over any and every circumstance. 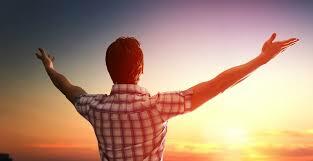 If you so choose, it will enable you to live more abundantly than you can even now imagine. You are a thinking centre and can originate thought. You have never in your life made anything with your hands without having first created it in your mind. It is impossible for you to make anything without first thinking of doing so. For far too long man has limited himself by working wholly with his hands, using manual labour to create forms. He’s done it so long now that he has completely forgotten if he ever knew – and there is much historical evidence to suggest he did – that there is another way. As we’ve already learned, each of us is an individualisation of God, living, experiencing and evolving back to that which we really are and which we never really left. To safeguard this illusionary journey through time and space, we are governed by certain universal laws which come from and are imbued with Spirit, the Original Source of our Being. These are divine laws created to govern the various levels of our being. Whether we are aware of them or not, they dictate the results of our thoughts and actions. For the purpose of this study, we’ll look only at those four I believe to be most relevant to the creation of abundance. I call this group the Fabulous Four because once understood and applied, these four unfailing laws not only help you reap fabulous results, they do so explosively. They are some of the best friends a sojourner on the road to abundance can possibly have. As you may have already realized, while pleading ignorance to a friendly traffic officer may keep you from getting a ticket, not knowing about these universal laws is, in actuality, working against them. Ignorance buys you no leeway. It benefits you to know as much about these laws as you possibly can because they’ve been actively working in your life whether you’ve been acknowledging them or not. In fact, when you get right down to it, your life thus far is probably a pretty good testament that working with them is always better than working against them. Perhaps the best known of the fabulous four is the law of attraction. Books have been written about it and entire courses on achieving desires are designed around it. To develop an understanding of this law, even if none other is studied, will do much to establish firm a footing along the path to prosperity. That’s why it is the first one on our list. Simply put, the law of attraction dictates that whatever you focus your attention on is attracted to you. Whether you label it good, bad, or ugly, if you think about it long enough, it’s yours. That’s because, as we learned in a previous chapter, the vibrational frequency of your thoughts hones in on the similar frequency emitted by whatever person, place or circumstance is applicable and draws it to you. The law of attraction is what makes this always so. Like always attracts like. The purpose of this law is to establish your power as a creator, allowing you to explore and experience life at will, evaluating and then choosing again as the benefit of each experience is realized. The law of attraction begins working against us when we get so caught up in an experience, we forget we have the power to change it. We allow the primary focus of our thinking to stay centred on what we don’t want and because the law just keeps on working, we keep drawing the experience to us. We begin pushing against it, trying to remove it through either force or will, and in so doing, we bring the law of resistance into play. This law states simply that that which we resist persists. Working hand in hand with the law of attraction, our resistance is keeping our focus attached to the experience we want to push away. 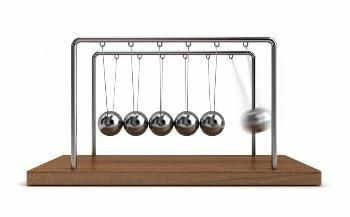 Eventually, what we are experiencing becomes a kind of whirling merry-go-round of focus, going faster and faster, consuming our attention so completely we forget we can get off any time we choose by changing the pattern of our thought. Instead, we unwittingly focus on that which we no longer want and begin a cycle of circumstances that appear to go from bad to worse. We begin to feel as if our life is spinning out of control. The late metaphysical teacher, Emmett Fox, told the story of a bear breaking into a hunter’s camp enticed by the aroma of stew cooking over an open fire. Hunger overriding his fear of the flames, the bear grabbed the cast iron stew pot hanging over the fire and pulled it to his chest. The heat from the pot was intense and as the bear held it to him it burned through his dense fur, causing searing pain. Confused, frightened and totally misinterpreting the experience, the bear hugged the pot even closer. Eventually, the scalding heat penetrated the flesh, fatally burning vital organs. After only a few minutes more, the bear, at last, released the pot and fell dead beside it. A victim of his own inability to let go. Have you become a victim of your own hesitation to let go? If so, perhaps you need to look more closely at whatever experience you are currently holding on to and ask yourself why. Is there some benefit of the experience yet to be realized? Have you, perhaps, convinced yourself that you deserve what is happening in your life? Or have you simply become resistant to change? Once your inner being has given you the answers to these questions or any others that might arise, then gently remind yourself that in order to change the experience, you need only change your mind. As the Course in Miracles repeatedly teaches, you are always free to choose again. Always. Before moving on to the next law in the Fabulous Four, it should be pointed out that the law of reciprocation is closely connected to the law of attraction. That which you do to others, will always, always come back to you. Without fail. If you judge others harshly, you will be harshly judged by others. If you offer unconditional love to all you meet, you will find yourself surrounded by unconditional love. 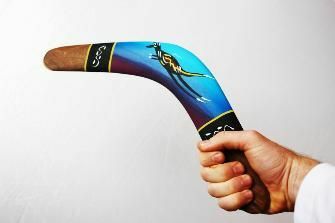 Like a boomerang, what you throw out there will always return to you. It’s the reason “do unto others” is called the Golden Rule. Every action is premeditated, whether the thought from which the action springs is conscious or not. Those who choose to take what belongs to others, be it property or a life, think about it first, at least on some level, and these thoughts then propel them into action. Such a person certainly has no understanding of the law of attraction, and no idea that he or she is God being individualised. Unable to fathom having the power to create, he or she takes from others. Through the law of reciprocation, this person is, in turn, robbed. The loss may be mental instead of physical, such as a loss of joy or well-being but it is significant nonetheless. It is simply impossible to take from another without being taken from. Please understand, however, that the person who is taken from may not necessarily be a taker but has just as clearly created the act of losing through thought. It may have been through the decision to be a victim instead of a victor or the decision to be a teacher and a giver. Either way, no one ever loses unwillingly. Every loss is premeditated, too. Through the immutable law of attraction, the vibration of the taker seeks that of the giver and two are attracted to one another until, at last, their paths merge. This gives and takes in the way the Universe works brings us to our next law in the fabulous four. The purpose of the law of polarity is a balance. 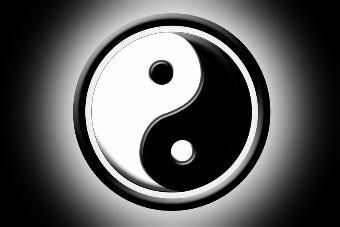 Opposites such as light and dark, joy and sadness, and even good and evil are necessary for perfect balance. There must be two equal sides to keep the scales of life in balance, and for this reason, opposites attract. They are the yin and yang of life working together to achieve harmony in the Universe. While it is in our very nature to resist the darker, negative side of ourselves, it is as important to us as the positive side. The easiest way to acknowledge both sides of your nature is to realise it is only your perspective that labels one side good and the other bad. If you stop to think of it, you quickly realize one side cannot be better than the other because both are necessary to perfect balance. The upside of all this is that when you shift your perspective to acknowledge the value found in the negative side of your nature, you automatically transmute it, turning that which was bad into that which is good. By accepting the negative aspects of your life and the negative side of your nature, they begin working for you instead of against you. You become more balanced, better able to cope with the stresses of life because you realise that no matter what happens, it is good, it is all good. No longer fighting one side of your nature, you become centred. Acknowledging your wholeness, you feel complete. Complete is a very, very nice way to feel. By far, the easiest way to begin working with the law of polarity is through an application of the next law on our Fabulous Four list. The purpose of the law of gratitude is connectivity. Gratitude completes the circuit, allowing power to flow between desire and manifestation. Just as you would not hold a lamp cord in your hand insisting that the light shine before you’ll plug it in, the law of gratitude teaches that so should you not wait for a physical manifestation of your greatest desire before offering thanks. Gratitude is an expression of knowing and not only must a deliberate creator clearly focus on what he wants, he must know in his heart and soul and every particle of his being that what he is seeking has already been given. That’s where gratitude comes in. Now I ask you: What self-respecting Universal being assigned to deal with your every beck and call would dare deny a statement like that? Imagine receiving a phone call from your favourite uncle. He tells you he knows you need a new car and he wants you to have one, so he’s sending you a check for £25,000 to get the car you want. No strings attached. You would immediately begin thanking him, wouldn’t you? You certainly wouldn’t wait until the cheque cleared the bank or until you’d gone car shopping, picked one out and driven it from the garage. Of course not! You would start gushing profuse thanks the minute your uncle told you the check was coming. Why? Because you know the money is coming and that knowing is as good as having the cash in hand. You don’t have to wait until you receive it to experience the joy of having it. Your uncle’s word has been good in the past. There is no reason to discount it now. Besides, as watching any child awaiting Christmas will attest, there is as much joy, if not more, in the anticipation of the gift as in the actual receiving. It is not the destination that makes a traveler, after all, it is the journey. When you know in your heart a desire is coming, your happiness and acceptance of it is immediate and often times so profound that the actual arrival is almost anti-climactic. Gratitude sends a message to the universe that, just as you would with receiving money from your caring uncle, you know, you trust and you believe and that, dear reader, is the kind of message the universe simply will not ignore. An expression of thankfulness for any situation, whether you think it good or bad, sends an equally powerful message forth saying you know everything will turn out in your favour and you’re willing to stand on your belief. You don’t even have to ask that the problem is solved. Your declaration of gratitude is requested enough. Gratitude places the order for the solution and marks it as a top priority. It also puts the universe on notice that it needs to deliver it to you in the most time-efficient manner and beneficial way possible. In all things, be grateful and your world will rapidly and dramatically change. Spend time every day contemplating the multitude of blessings in your life from the most magnificent to the most minuscule. Cultivate gratitude through meditation, writing, poetry, prayers of thankfulness and singing songs of joy. In so doing your connection to the infinite power of the Universe will be strong, sure and constant. Though the messages you may have received about gratitude in the past may be somewhat skewed, perhaps eliciting guilt for having not been grateful enough, realise the basic teaching is there: Be grateful for everything. Gratitude is a divine surge protector. It causes the Universe to stand guard over you. Which is, of course, the perfect lead to our last law in the Fabulous Four line up. Try feeling gratitude for a moment. It can be a feeling of softness that begins in the chest and then spreads warmly over the body and into your thoughts. Soon the hard or dense feelings in your body and mind melt into joy. Your breathing can become deep and full, without effort. In gratitude, we find hope and the knowledge that all things are possible. The next time you find feelings of anger or intolerance rising in you, the next time you judge another simply because they are different, the next time you feel betrayed or disappointed – choose to feel gratitude instead. It doesn’t mean that you have to find a reason to be grateful for that which troubles you. Simply feel the sensation of gratitude in your heart, and watch every angry, stubborn, judgmental, or sorrowful thought ease into comfort and hope and understanding. Gratitude has the power to change our world. Practice gratitude daily and Peace will prevail in your life and around the world! The purpose of the law of cause and effect is a simple one: to show you that you are a connected part of All That Is and as such, always actively creating. As you start noticing the speed with which the dominant trend of your thinking manifests conditions, the first thing you’ll realize is this taking responsibility thing is a whole lot better than you thought it was going to be. Responsibility may be scary at first but once the fear dissipates and you start realising what awesome power you have, you begin doing little celebration dances on the goal line of this Universal game with every new creation. Life by design has some definite perks. Through working with the cause and effect especially, you become proficient at what you do best. Cause and effect become your practice field, so to speak. Just as a football star might work with various plays to perfect his game, so do you experiment with the manifesting process, again and again, testing, evaluating, mastering and perfecting, until every last vestige of doubt and unbelief is erased. Soon, desires are manifested so quickly you know beyond knowing that you are the cause. Your wonderfully rich and lavishly abundant life is the effect. Having realised at last that you are the cause of all the circumstances in your life, you focus on inner changes so the outer will change accordingly. Nothing is futile, hopeless or lost. Simply change the cause and the effect will change to mirror it. Another aspect of the law of cause and effect that is especially appealing is that it also proves beyond a shadow of a doubt, the existence of God. If the law is infallible: and boundless evidence attests that it is: then that means there had to be a cause for the universe. It didn’t just show up one day, full-blown and operating in perfect synchronicity. Whether your atheist or agnostic and may want to howl in protest against the evidence, the law of cause and effect makes it impossible. No matter how hard you try, no matter how many experiments you run, no matter how many arguments you have against the probability of a Higher Power, the simple truth is you can’t get something from anything. Nothing could have been the cause of a universe. Something had to be and that something was God; First Cause; the Original Source; Spirit; All that Is. It doesn’t matter what name you choose, understanding the law of cause and effect leads you to understand this: In the beginning: God and so it is. If you had the opportunity to seize everything you ever wanted in life by simply changing the way you think… would you be willing to do it? I certainly hope so because no matter what your current circumstances are, you can create the life of your dreams and you can do it by simply changing the way you think. I want you to know just what a powerful creator you are and show you how to start using the power of your thoughts to your advantage. Every thought you think, no matter how trivial you might believe it to be, has an impact on your world. Of course, the idea of creating our own reality is nothing new. Philosophers have been telling us for aeons that our thoughts are powerful; that what we think, we become. Now, thanks to quantum physics, science agrees. We do create our own realities, each and every one of us. Most of us, however, rarely make the connection between the trend of our thinking and the way our lives work and so when someone tells us the cause of our trouble is the way we are thinking, we brush it off as nonsense. The truth of the matter though is that…You are always creating. In fact, the life you will be living tomorrow is being created by you right now, this very minute. You may not be creating it consciously, but you are creating it just the same. If you’re like most people, you may be tempted to brush all this aside, thinking it far too airy-fairy to be believable but these concepts are valid. If you are experiencing lack and limitation in any aspect of your life, the information you’ll find here will enable you to begin attracting abundance into your world, so that every facet is rich and full and wonderful; the way it is supposed to be. After all, you deserve to live abundantly, it is your birthright. There’s something here for everyone. Whether you want to create a greater income, a healthier body or a more fulfilling relationship, you’ll find information here that you can put to good use. It doesn’t matter if you’re rich or poor, young or old, healthy or sick, there is probably something here you need right now. One of the things you’ll learn as you wind your way through these pages is that there are no accidents. Everything happens for a reason, including your visit to this website. I realize you’ve come here with your own unique viewpoint and some of the information you’ll find within these pages may be contrary to what you believe. Please understand, it is not my intention to try to change your beliefs, but only to encourage you to look within and accept only that which is true for you. A little over a dozen centuries ago, Ptolemy used mathematics to prove the world was flat and the sun revolved around it and because the available evidence at the time seemed to indicate he was right, the flat-world viewpoint was accepted as truth by pretty much everybody. Several hundred years, three Spanish ships and Galileo’s telescope later, new evidence on the scene gave us a new perspective and one we still hold to be self-evident today. The truth of the matter is that truth changes, as do those beliefs we hold most dear. It’s all part of the evolutionary process. For that reason and that reason only, I encourage you to keep an open mind. The best time to start is now! While I have no doubt that you will take to abundance creation like a duck to water because it is, after all, part of your very nature, you should be aware that deliberate creation does take practice and repetition. None of the materials you’ll find here are designed for a quick run-through, to be used once and tossed aside never to be touched again but rather need to be used and reused and incorporated into your own personal abundance library. Consistency is a major key to this work and having a variety of materials at your fingertips encourages consistency. Like any work of merit, changing the way you create your world calls for total dedication. If you do persist and follow through, before you know it, you’ll find yourself consciously creating more success, wealth, health and joy than you can even now imagine. The Law of Abundance states that above all else, you should live abundantly and at this very moment you can begin doing just that. You already have all the creative power you need to attract your highest desires. Contributions to this © excerpt have been obtained with permission from Kate Nowak.